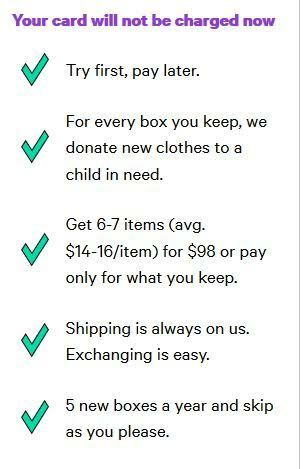 KIDBOX is the first kids’ style box offering premier brands, significant savings and a mission to clothe one million children in need. The brand creates a fun and effortless shopping experience that brings parents together with their kids to discover new styles and allows them to start the conversation about the importance of giving back. There are a ton of different subscription boxes available,but this service is geared towards your kids and their personal style, plus it is an opt in/opt out box. No subscriptions here! It even has options for boys! Clothes based on your kid’s unique style - boys, girls and toddler (ages 2-14). You get 6-7 items for $98 or pay only for what you keep. Whether your girl favors a look that's City Cool or defines herself as Classic Preppy, Modern Ca usual or Sporty Athletic the interactive fun style quiz will help KIDBOX identify her unique style After you tell them your child’s size, style, likes, dislikes, do’s and don’ts from the quiz they will compose a box for you! I let my daughter do the quiz herself and we were done in the in less than 3 minutes. I am really impressed with the quality of clothes she received. 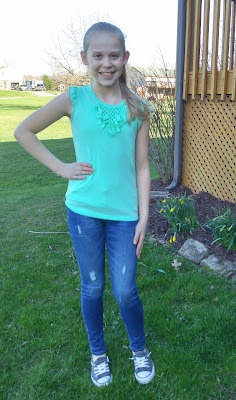 These are not cheaply made clothes, they are name brand relevant fashion pieces for my tween. This cute ruffle short sleeve shirt pairs nicely with the jeans in the KIDBOX or with a skirt or shorts this summer. 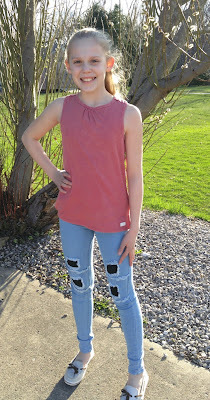 The top is from Kensie and the jeans are skinny knit denim from 7 For All Mankind! In addition to the two pair of jeans, my daughter got a cute pair of LUCKY khaki capri pants that paired nicely with LUCKY print swing tank. I did have my daughter put a regular white tank under this one. My daughter's favorite outfit is above! 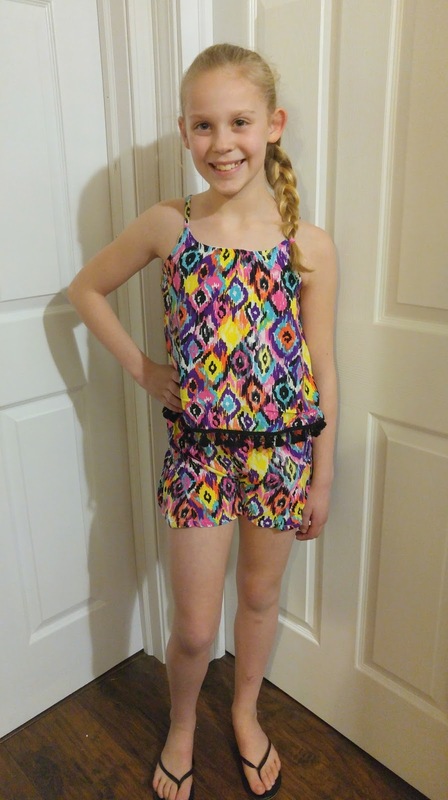 It is a print romper from Limited Too. She looks like she is ready for summer in this adorable outfit. I can see why it is her favorite and it is mine too! After you have reviewed your box, pick what you love and send the rest back free within 7 days. 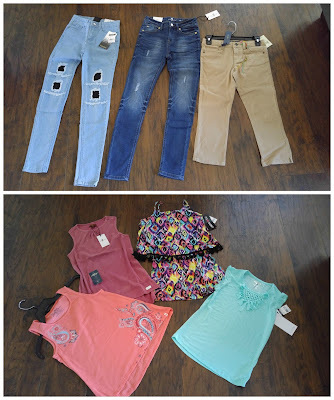 Five times a year (each season, as well as a special Back-to-School box), KIDBOX stylists curate a box full of stylish pieces from name brands including Diesel, Jessica Simpson, DKNY, PUMA and 7 For All Mankind. Once you sign up you are enrolled to receive all of the boxes. Don’t worry, they will ping you with a reminder well in advance of sending the next box. You can request to not have it sent, or you can receive it and keep what you want. No auto-renewals and if you decide you cancel, it is just as simple! To give back and help promote philanthropy among a younger generation, for every KIDBOX purchased, a new clothing item is donated to a child in need. 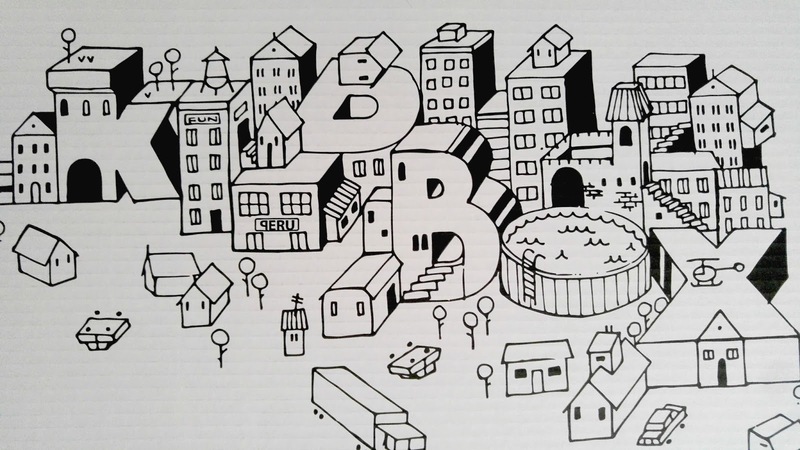 KIDBOX ’s mission is to empower children to give. Their goal is to provide new clothes to 1 million children in need. They have partnered with K.I.D.S./Fashion Delivers, a non-profit that has been a leader in this cause. 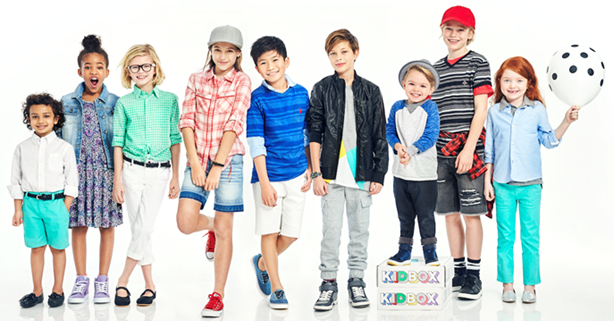 For every Kidbox you keep, they donate a new outfit to a child in a needy family. While they make that donation, they want you to be their partner in giving and invite you to choose the organization to support, together with your kids. 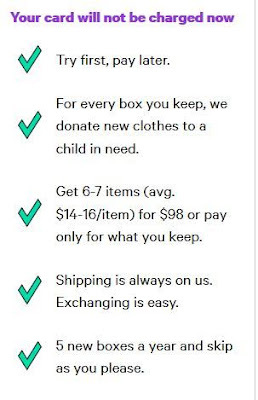 They would love to use this opportunity of getting new clothes to start a conversation with your child about giving. This is a unique moment for kids and grownups to talk about how they can make an impact together. We can help start the conversation. 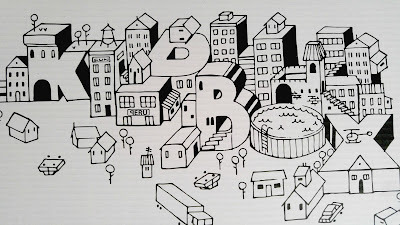 For more information on Kidbox Cares, please go toKidbox.com/Cares.